How well do you know your classic Christmas movies? Can you name the festive films from the image below? 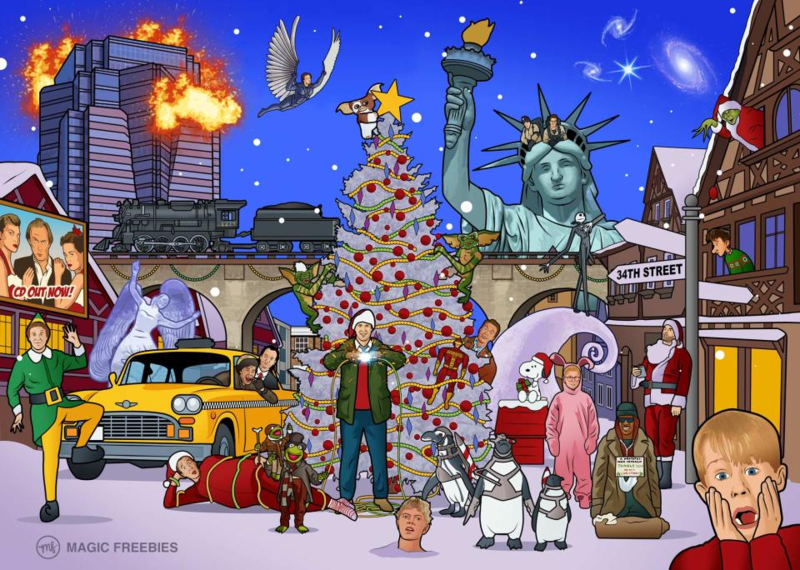 This poster, created by Magic Freebies UK, has 25 clues on it, with each relating to a specific Christmas film. 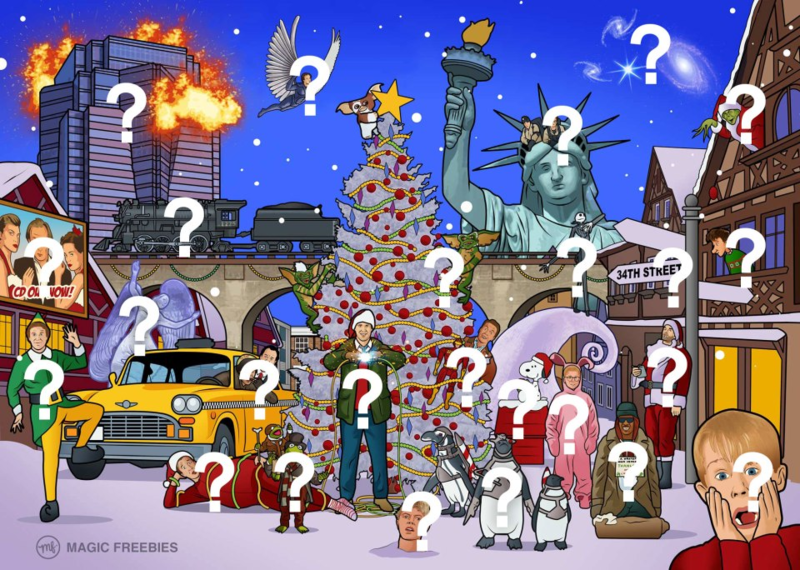 Work out the 25 clues and become the Christmas quiz champion.